We are super excited about our website’s new shiny look created by the talented Patrick Samphire and Grant Gaither. In fact, we are so excited that we’re throwing a party with awesome reader and writer prize packs donated by us! We’ve made it simple to enter. Click on the Rafflecopter link here or at the bottom of this post. Earn extra entries by following us on our various social media sites and helping us spread the word. Contest is open until May 31st midnight EST. We have a lot of fantastic authors at OneFour KidLit and are excited to introduce them all to you. Today we’re talking to Kate Kelly, author of RED ROCK coming from Curious Fox/Capstone Young Readers in 2013. One author, four questions. Here we go! I have been writing ever since I could hold a crayon but a few years ago I started to take things a bit more seriously. I started out, like many SF authors do, with short stories and had some success with placing them in various magazines and anthologies. But I had always felt I wanted to write for kids. And so Red Rock was born. I met my agent at a 1-2-1 meet an agent session at a small literary festival not far from where I live. I went along hoping for some useful feedback, but I ended up signing with her and about a year later Red Rock sold. When she called I was jolting down a rutted track on my mountain bike. I took her call sitting in the sunshine on a grassy bank beside a farm, swallows flitting overhead. It was a magical moment. Red Rock is a thriller, set in a not too distant future. The climate is changing and the Greenland ice cap has all but melted away. But as the ice retreats something is revealed…. Rock. I’m also keen on hillwalking and I’m fascinated by local history and archaeology. The thought of people reading my book and, hopefully, enjoying it. Holding it in my hand and stroking its cover and thinking ‘I wrote this’. By day Kate Kelly works as a Marine Scientist, by night she writes SF thrillers for kids. Kate has written all her life and has had a number of science fiction short stories published in various magazines and anthologies. Her debut novel, RED ROCK, a SF thriller for the 10+ age group, will be published in 2013 by Curious Fox. We have a lot of fantastic authors at OneFour KidLit and are excited to introduce them all to you. Today, we’re talking to Lori M. Lee, author of GATES OF THREAD AND STONE. One author, four questions. Here we go! 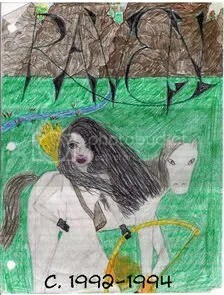 (I was ten. No judging. Isn’t it fab? 😛 I even began writing the sequel, but I fortunately never finished it. Fast forward to 2009 when I wrote my first ms-with-intent-to-query for NaNoWriMo. It was a mess. After a year and a half of editing, I queried it in 2011 and wrote a second book. That second one turned out to be the lucky ms because a year later, in 2012, it sold to Skyscape. From the PW announcement, the book is about a girl who must keep her ability to manipulate the threads of time a secret. But when her brother goes missing, she risks getting caught up in a revolution in order to save him. It actually began as a hybrid of science fiction and fantasy, but I ended up overhauling it to be 100% fantasy. Everything. I’m sure that’s cheating, but seriously, I’m excited for all the stages of editing, for the cover, for ARCs, for getting to know my fellow debuts, for promoting, for blog tours and potential book signings, for readers (!!!). And for reviews, good or bad, because it’ll mean people are reading my book holy cows is this real. ♥ Junior year of high school, I got my entire Spanish class in trouble for falling asleep during a film after the teacher specifically said we’d be punished if anyone fell asleep. It was first period. I had been up until 5 am reading. I was mortified. ♥ As a teenager, I thought crushing on pop stars was lame (says the girl who hung up pictures of unicorns instead). ♥ I crushed on anime characters though. (I know, it doesn’t make any sense.) I wanted to be Sailor Moon if for no other reason than because I was in love with Tuxedo Mask. ♥ My first kiss was a total cliché. My friends locked me in a closet with my sort-of boyfriend and wouldn’t let us out until we kissed. It was lame. I dumped him a week later. ♥ I don’t like coffee or tea. Hot chocolate all the way. Lori M. Lee is an avid writer, reader, and artist. She also has a borderline obsessive fascination with unicorns, is fond of talking in capslock, and writes young adult fiction. She should probably spend less time on the internet (but she won’t). Her debut GATES OF THREAD AND STONE will release Spring of 2014 from Skyscape (Amazon Children’s Publishing). 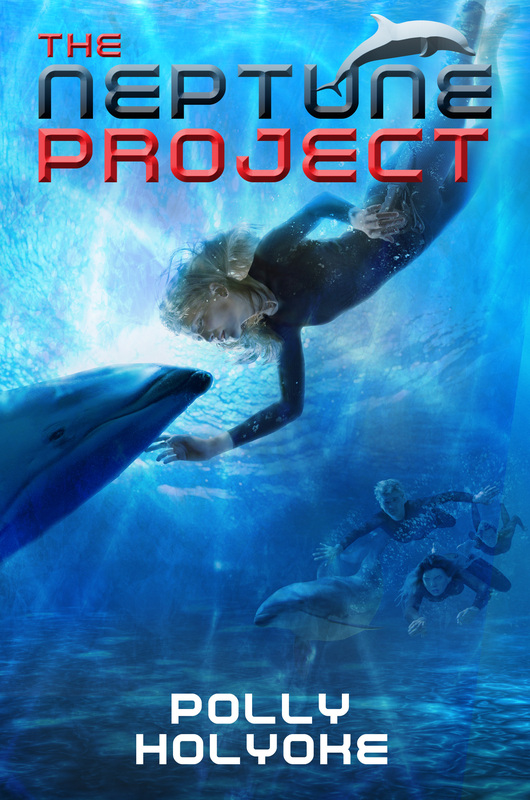 THE NEPTUNE PROJECT is set in a future where the seas are rising and global warming is out of control. Nere Hanson and her teen companions are shocked to learn that they have been genetically altered by their desperate parents to live in the sea. Protected by her loyal dolphins, shy Nere leads the rest on a perilous journey to her father’s new colony. Fighting off government divers, sharks and giant squid, can Nere and her companions learn to trust each other before their dangerous new world destroys them? Judging by your website, I’m fairly convinced you live underwater, so the inspiration for your book isn’t hard to find. But was there a particular event or moment that sparked the idea for the story? 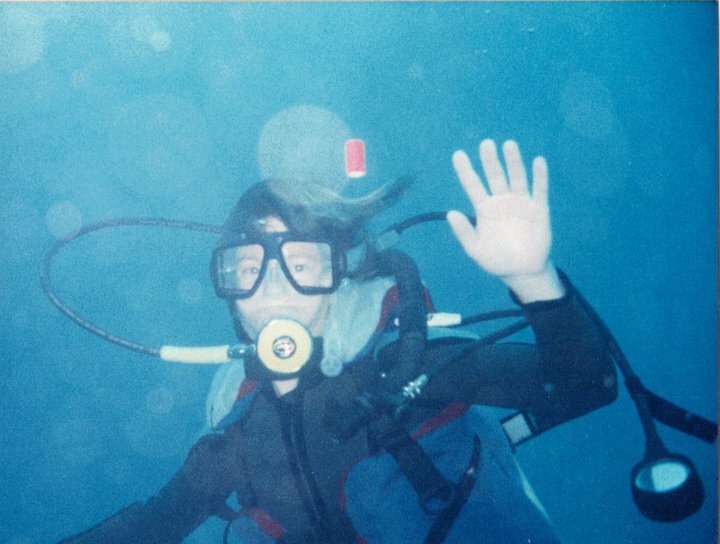 Well, there was this moment when a huge, ugly moray eel sunk his teeth into my dive flipper… just kidding! Actually, I have to give you an honest and not very exciting answer. The premise of The Neptune Project grew in my mind over time. I’ve always cared about the environment, and at the rate we are polluting and overpopulating the land of our planet, it just makes sense to me that we may have to colonize the oceans someday. I’m also fascinated by genetic engineering, and we are drawing closer to being able to “engineer” kids who can breathe seawater. You’ve mentioned being both claustrophobic (like your heroine, Nere) and being a “chicken about heights.” Do you foresee the latter (or other phobias!) making an appearance in future novels? That’s a great idea! I’ve considered writing a story about a girl who gets bitten by a rattlesnake in the desert just like I was a few years ago, but I think that storyline could get melodramatic in a hurry. I do like the idea of having a serious teen climber survive a bad fall which will impact her ability make challenging ascents. I feel a new story brewing – thanks so much for the nudge! In Neptune 2, I do follow up on Nere’s claustrophobia and have her imprisoned in a small, dark cell with Tobin (we authors can be so cruel to our characters), and he helps her through the worst of her terror. You’ve done a lot of scuba diving, but what challenges (if any) did you find in writing an underwater setting? There were so many sensory details I wanted to convey and get right. It’s quiet and muffled under the waves compared to the surface world, but the sea has its own music. I love the whisper of sand shifting with currents, and the whistles and squeaks of dolphins. The light becomes green or blue depending on where you dive, and it vanishes quickly the deeper you swim. In the publishing process, what did you feel most and least prepared for? I was prepared to spend a great deal of time revising a manuscript until it was perfect, and my editor Lisa Yoskowitz was wonderful about helping to make The Neptune Project a better book. I didn’t realize, though, how much time I’d have to spend mastering social media and using it. I now enjoy twitter (like many authors, I perhaps enjoy it too much) but it was a little scary learning how to use it at the start. Now that your debut’s out in the wild, what’s up next? I’ve finished Neptune 2, which Puffin UK has already bought. I’m hoping Disney Hyperion buys it as well and agrees to publish the third and final book in the Neptune series. BTW, that is one clever name for a debut author group! My father and grandmother used to read Johann David Wyss’ THE SWISS FAMILY ROBINSON to me by the hour, and I liked to imagine I was a member of that family shipwrecked on a desert island. I also loved MY SIDE OF THE MOUNTAIN by Jean Craighead George about a boy who goes off and tries to survive on his own in the wild. Those books were so vivid, and the characters in them had to be incredibly brave and resourceful to survive. You’ll see those themes in The Neptune Project. My shy heroine Nere eventually learns that she is capable, brave and resourceful. Thanks for stopping by, Polly, and best luck with THE NEPTUNE PROJECT! R.C. Lewis teaches math to teenagers—sometimes in sign language, sometimes not—and resists defining herself further since that definition remains in flux. Coincidentally, she enjoys reading about quantum physics. Her debut novel, STITCHING SNOW (Disney-Hyperion, Summer ’14), takes Snow White into space. This month’s YouTube topic is Music, and Jaye Robin Brown, author of No Place To Fall is here to talk to you about the music that inspires her protagonist, Amber Vaughn. Jaye Robin Brown, or JRo to most everyone but her mama, lives and writes in the Appalachian mountains north of Asheville, NC. She’s fond of dogs, horses, laughter, the absurd and the ironic. When not crafting stories she hangs out with teenagers in the high school art room where she teaches. Her debut novel, NO PLACE TO FALL (Harper Teen, Fall ’14), is a love song to small town girls and mountain music. This month’s YouTube topic is MUSIC, and Christina Farley, author of GILDED, is at Disney’s Music resort today talking about the song that inspired GILDED’s first chapter, the emotions of her main character and the songs that would make a great fit for GILDED’s soundtrack. You can also visit her website extra page to listen to the full playlist. Rosamund Hodge’s book is now officially titled CRUEL BEAUTY, Emily Lloyd-Jone’s book is now called ILLUSIVE, and Jaye Robin Brown’s book is now NO PLACE TO FALL. Elle Cosimano’s NEARLY GONE has a release date of March 25, 2014. Michelle Krys sold UK rights of HEXED to Random House UK. Her first foreign rights sale! 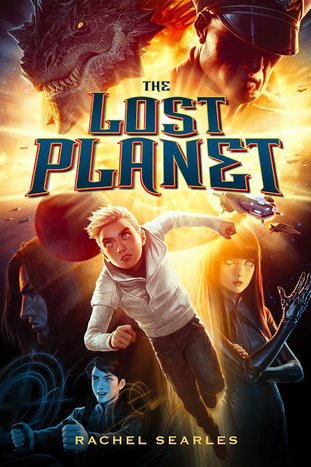 That’s Rachel Searles’ THE LOST PLANET, folks! 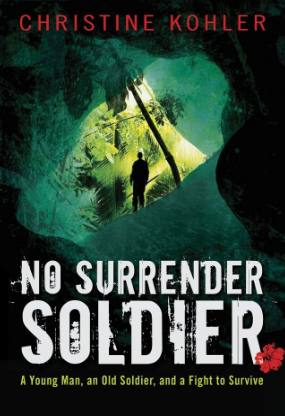 And that is Christine Kohler’s NO SURRENDER SOLDIER! Amber Lough lives in Syracuse, NY with an astrophysicist and their two kids, Future CEO and Future Comedian. She spent half her childhood in Japan and the Middle East, but majored in Russian because she likes a challenge. She quit her job in the Air Force to write books. Her Middle Eastern fantasy, THE FIRE WISH, is due from Random House Children’s in Fall 2014.